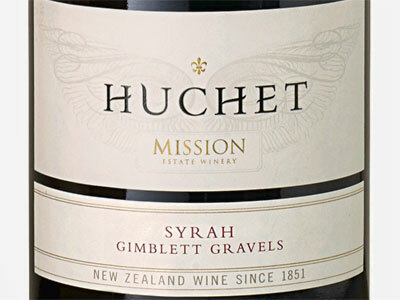 The birthplace of New Zealand wine, Mission Estate, recently released “Huchet“, an icon wine, named after Cellar Master, Brother Cyprian Huchet. 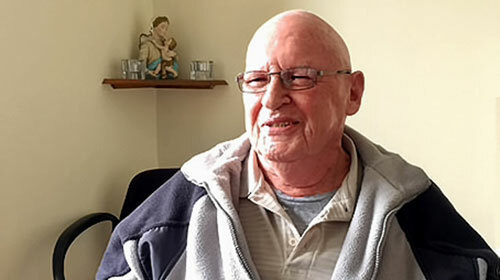 Over one hundred and seventy years ago, a small group of French Marist missionaries sailed to New Zealand. They travelled with little more than their faith, and came at the request of the Pope with a view to establishing the Catholic Church. French and Catholic, there was a need for wine and they brought with them generations of winemaking experience and a few precious vines. Following soon after the first French missionaries was Brother Cyprian Huchet. He was the son of a vigneron for the Loire who oversaw New Zealand’s first recorded commercial sale of wine. Generations in the making, the Mission Huchet Syrah 2007 is a limited edition wine and a tribute to this pioneering French Marist winemaker. The grapes for the Huchet wine were grown in two different zones on Mission’s Mere Rd, Syrah block, located on the Gimblet Gravels. Selecting fruit from different zones means one zone produced fruit with rich, intense, deep dark blackberry characters of structure and purity and the other: fruit with spice, dark black pepper and sweet floral violets. In terms of taste, those fortunate to experience Huchet will find it a fine deep-coloured and vibrant wine, with arresting dark berry aromas along with spice and hints of black pepper. It is full-bodied with fine soft tannins, and in line with the zonal grape selection, people get an array of complex fruit and spice characters. It has a long, warm finish. Mission expects this wine to cellar for 10 – 20 years and the structure to soften with age, to become silky and for the aromas to develop and more intense. Only 1,657 bottles have been made. They are available for $100 a bottle from the Mission Estate cellar door, online at www.missionestate.co.nz and from selected fine wine retailers. All that remains to say to Viticulturist, Caine Thompson and Winemaker, Paul Mooney is, Touche on the Huchet.